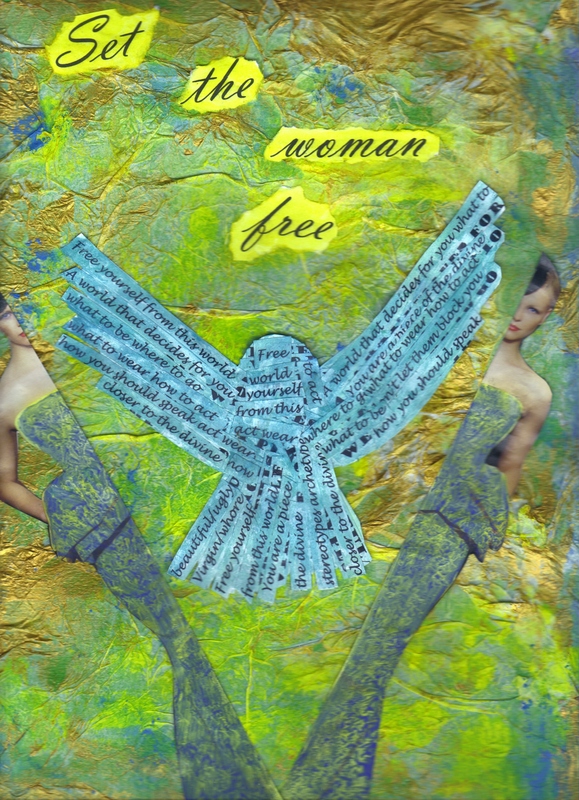 The idea for my new collage titled ‘Free Woman’ came to me last week. It’s my first completed collage of the year. I used white tissue paper for the background and added some colour. The bird coming out of the woman represents the free bird hidden within all of us waiting to be set free. I like to use text in my collages. I like to write poetry, so I put some text with poetry that I wrote and pasted it onto the bird.